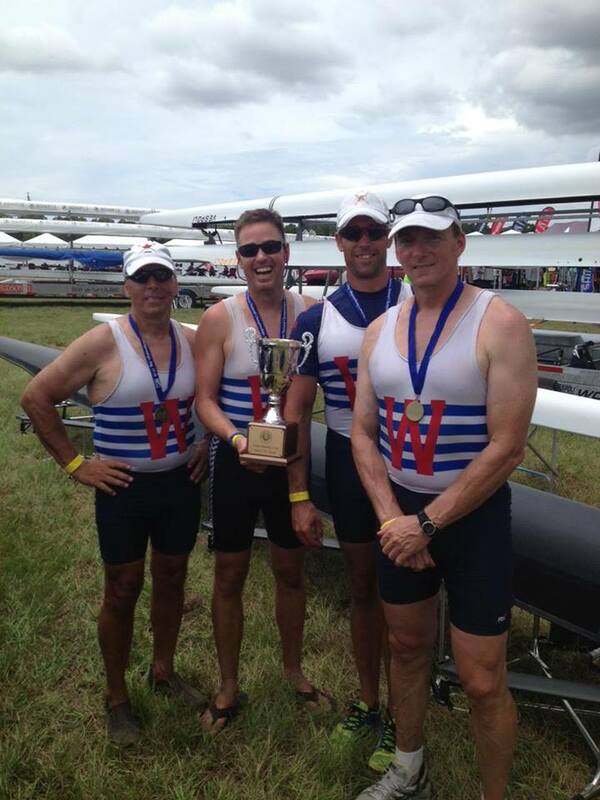 WRC rowers captured two first place finishes at the 2013 USRowing Masters National Championships in Sarasota, Florida last weekend. Jeff Reitberger, Dave Cooke, Andrew Lamont, along with WRC alumn Phil Osztian won two golds in the Men’s Open and Men’s Club Quad events. Dave and Phil also picked up a bronze medal in the Men’s 2x (B age category), and Andrew Lamont rowed with a Tulsa Rowing Club athlete in the Mixed 2x (C age category) for a third place finish.